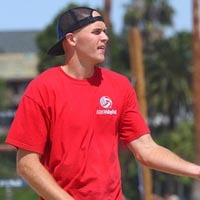 McLaughlin started his volleyball career at Huntington Beach High School, where he was named Sunset League MVP in 2004. He played two years at Goldenwest College then transferred to George Mason in 2006. In 2009 he earned a Bachelor of Arts in History and is currently pursuing his teaching credential.